I always thought eyebrow filler was only for people with thin brows. Not true. Eyebrows frame the face and set off the eyes. They are like window treatments...you don't need them, but they sure do make the room look nice. Let's get it straight, I do have eyebrows and they are not thinning at all. 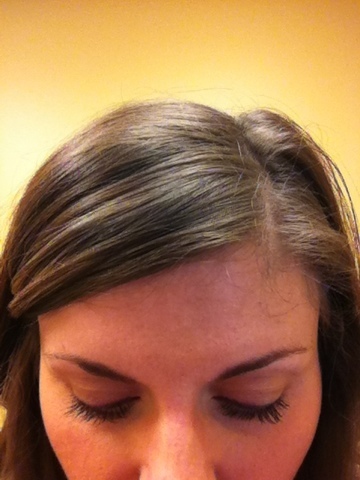 I have very dark hair naturally, so my eyebrows are practically black. I use MAC eyeshadow in mystery to fill in my brows with a slanted eyeliner brush. (I also use this color to line my eyes.) 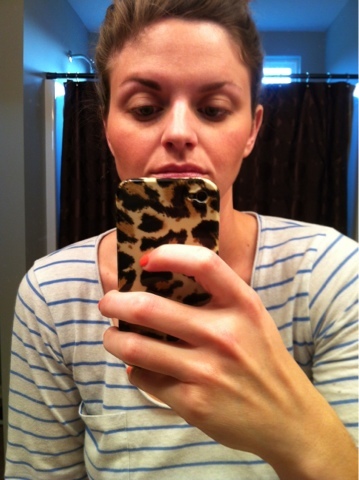 The difference between filled and unfilled brows is subtle, but, in my opinion, the filled brow looks more polished. What do you think? And don't judge me by the first picture. It was taken about 10 minutes after I woke up, which explains the pajamas and tired eyes.